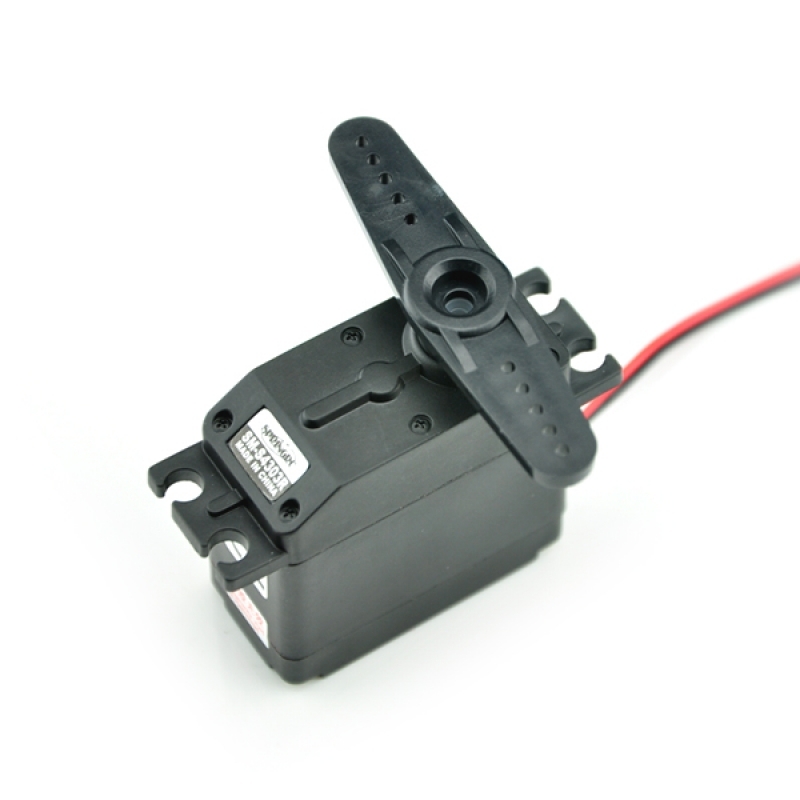 The SM-S4303R is a double bearing, high torque 360 degree rotation servo. Suitable for mobile robot driven motor. This motor is standard servo interface with PWM signal, Power and GND. NOTE:ALL 360 degree rotation motors is modified from standard servo, it does not have position control and feedback. The PWM signal is only for controlling the speed of the motor, but the position.